KO Mouse Note: This is a quick and brief run-through of maze building from the Iron Age to the Roman times. We plan to come back and revisit these subjects in more detail, but we wanted to get an overview out there first. Seven thousand years ago some guy or lady squished some pebbles in the ground. Why? It could have been religious. It could have been for fun. Was it to decorate, worship, mourn or give oneself therapy? Whatever the reason, a practice was born. Some of those ancients began using bigger rocks. Stone circles began to pop-up everywhere during the Iron Age. And we are fascinated by this today- British heritage websites report that Stonehenge has about 800,000 tourists visit the site annually. The stone remains are considered a heritage site. The mysteries behind these very old rocks have fed folklore and inspired the fantasy stories we love today. Amidst the grassy fields in Northern Europe lie the historic turf mazes. It wasn’t always enough to just place your rocks in devout patterns. 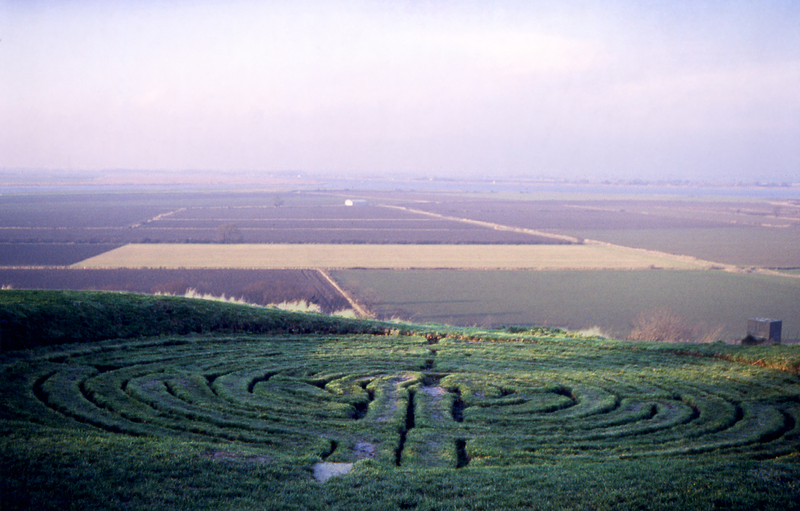 The ancients created labyrinths with stones: the practice intensified the purpose. Over time, the mazes were reinforced by repetitive strolling. This allowed them to remain until present times. The art of squashing the smaller stones remained. The practice was brought indoors and a new art style was invented: the mosaic style. The ancient kingdoms decorated the floors of their temples with mosaic art. Wealthy Romans would copy the style in their homes. Roman mosaic pavement mazes were also fashionable. Unlike the classical labyrinth, Roman mosaic pavement mazes were often rectangular- to fit the size of the rooms they adorned. 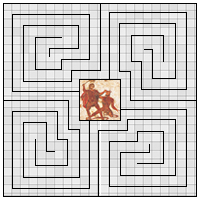 A visual was placed at the center of the maze, usually the depiction of a mythological event (Theseus battling the Minotaur for example.) The pattern of the course would be influenced by the size and shape of the center art. The path of the maze was directed into a quadrant of the rectangle, and then duplicated in the remaining quadrants. 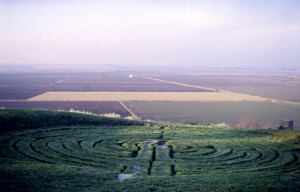 The persistent concept of the labyrinth/maze repeated in Roman times clearly exhibits humankind’s natural attraction to it.